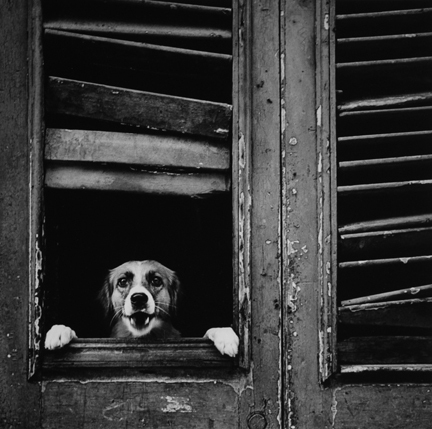 Tito Alvarez, born "José María González Álvarez," was a Cuban photographer who worked for the Cuban Ministry of Culture between 1963 and 1978. 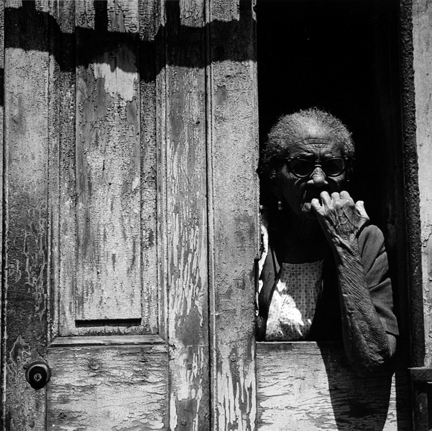 Alvarez was best known for his 1985 environmental portrait series People of my Suburb (Gente de mi barrio), which celebrated the working class of Cuba. 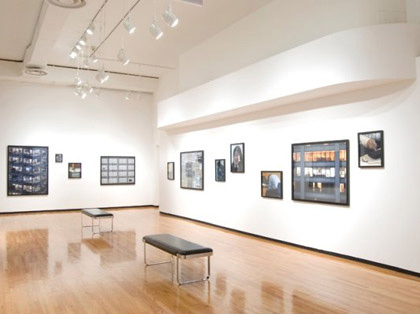 Alvarez’s photographs in the collection of the MoCP express similar sentiments in documenting people – and in one instance, a dog – in their environments while remaining in the mode of street photography. Each of his subjects is tightly framed by a window or doorway, emerging from darkness into the brightly lit street, rich with the textures of deteriorating colonial architecture. 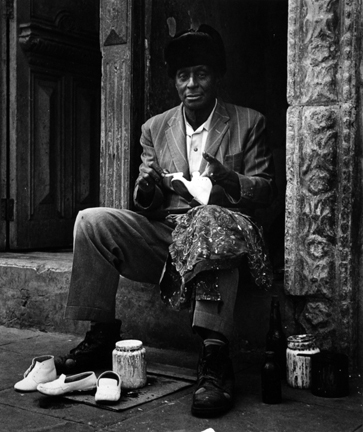 The high contrast and deep shadows of Alvarez’s prints lends a sense of drama to his subjects’ gestures for a poignant expression of daily life in Havana.